Them Coheed and Cambria boys are at it again! With just about a week left before Vaxis – Act I: The Unheavenly Creatures comes out, they dropped their fourth single “Old Flames”. After hearing the four tracks they’ve released so far, it sounds like Coheed have that fire again (sorry for the bad pun). All of the singles have been really great, which just adds to the excitement leading up to October 5th. “Old Flames” is the poppiest of the bunch so far. I get a lot of the same energy and playfulness from the second album In Keeping Secrets of Silent Earth: 3. I would say this would be their radio hit – if rock was still being played on the radio. Beginning with about minute-long piano intro before the band kicks in, “Old Flames” immediately hits you with the signature pop-punk verses and the more proggy choruses and breakdowns Coheed have made a name for themselves with. Vocalist Claudio Sanchez shines as always with his very distinct voice and insanely catchy hooks. As the song nears its end, they leave you with a fun, cheesy bridge comprised of just ‘Na na na – na na na’, which will stay in your head for hours on end! Check it out for yourself below, and get excited! 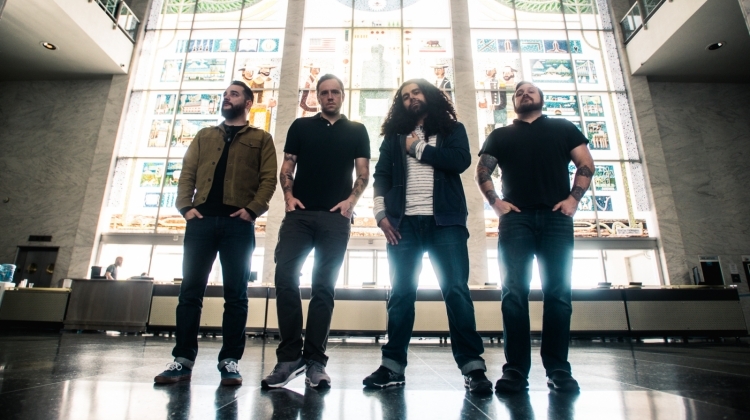 You can follow Coheed and Cambria on their Facebook, Instagram, and official website for tour dates and further info. All of the bundles for Vaxis – Act I: The Unheavenly Creatures are available for pre-order here. Next PostVoices From The Fuselage Announce New Album and Unleash Single "Nine Levels"